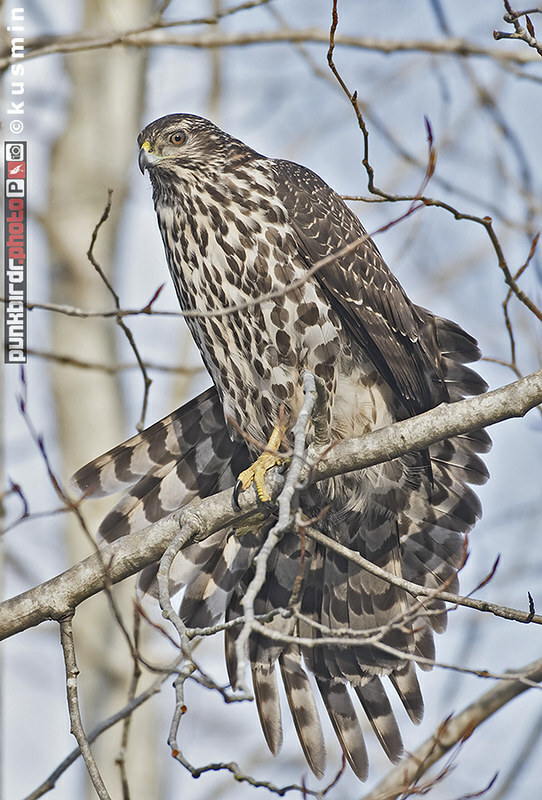 Earlier in December i saw the juvenile Northern Goshawk a number of times at Maplewood Flats in North Vancouver. 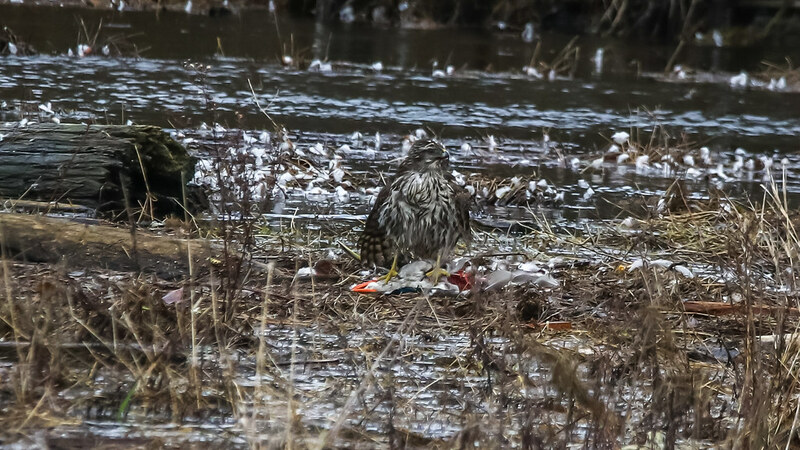 Many times it was spotted along the central access road/path by the pond, numerous birders got to see it but i have not seen any shots of it posted here. First time i saw it was Dec 15th but it may very well still be in the area. it was very foggy and late afternoon when i spotted the bird the first time, watched it fly low through the trees until it landed near the bridge. got it early one morning as well in better light, super nice to run into old birding acquaintances Tak (+ his wife) and Raymond on separate occasions, good to share nice looks at this powerful bird, disliked by crows. Great shots Paul. That last one is amazingly sharp! Thanks for sharing. always a thrill to see a Northern Goshawk. what a beauty! 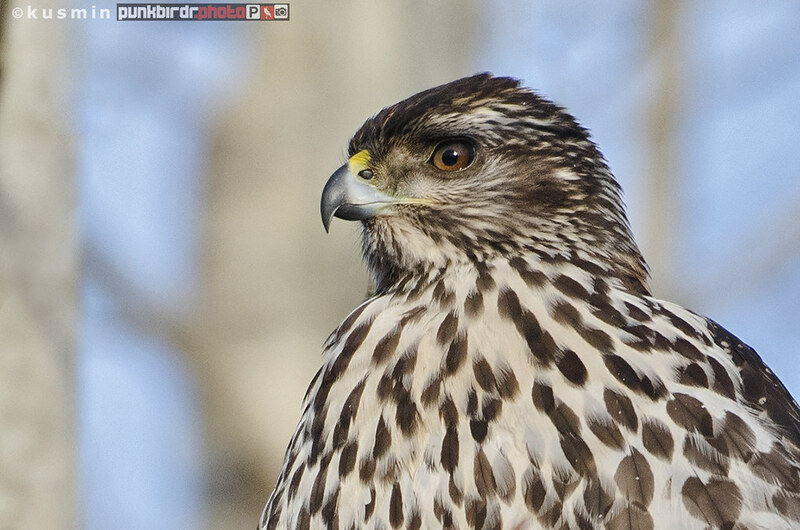 I hope you don't mind, Paul - I've been using the third Goshawk photo as the wallpaper on my home computer. JoeNorthVan wrote: I hope you don't mind, Paul - I've been using the third Goshawk photo as the wallpaper on my home computer. Last week was raptor day at Maplewood. Northern Goshawk in a tree. Peregrine Falcon buzzed it. Red-tailedHawk chased after the falcon, and they circled and chased for a minute. Bald Eagle buzzed the Goshawk. 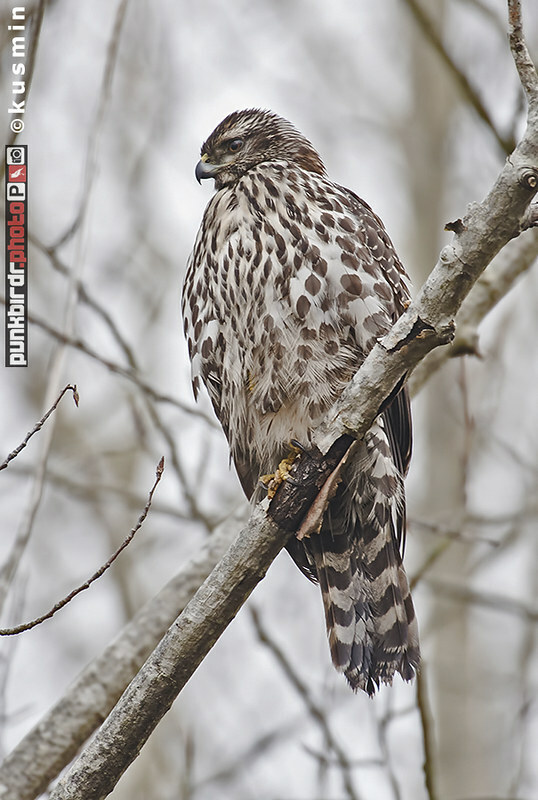 Also had a Cooper's Hawk and Nothern Pygmy-Owl. Even had a Bobcat on more than one occasion. Still waiting to see a peregrine at Maplewood, would love to see the bobcat as well, i guess i need to get out there more often than i do these days. remarkable Robert! now my #1 desired destination next trip to Vancouver. 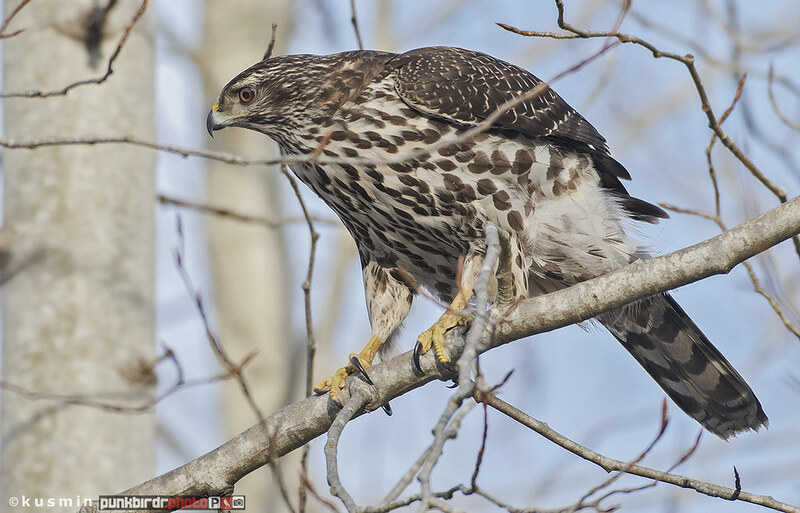 BTW the Northern Goshawk is back at Maplewood Flats, this time in more adult plumage! It's playing hide and seek again, like it did last winter. Disappearing for awhile, then showing up!